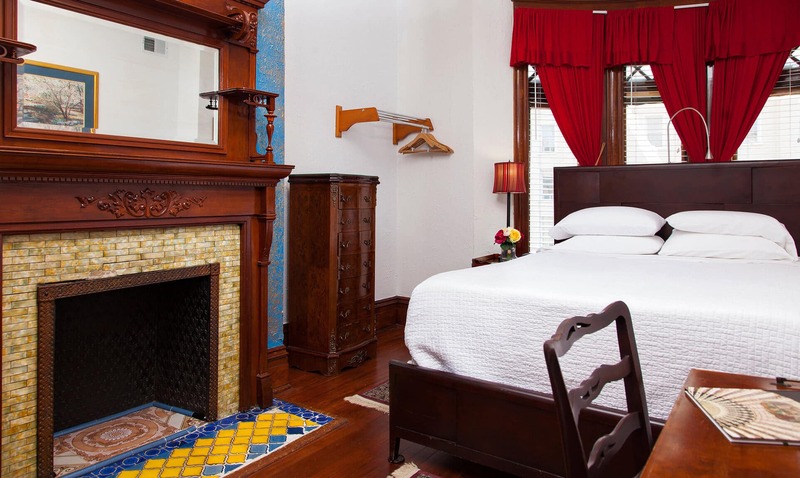 This room features original bow windows and a queen sized bed with all white soft linen and non-allergenic comforter. A beautifully tiled non-working fireplace sets the stage for this room. 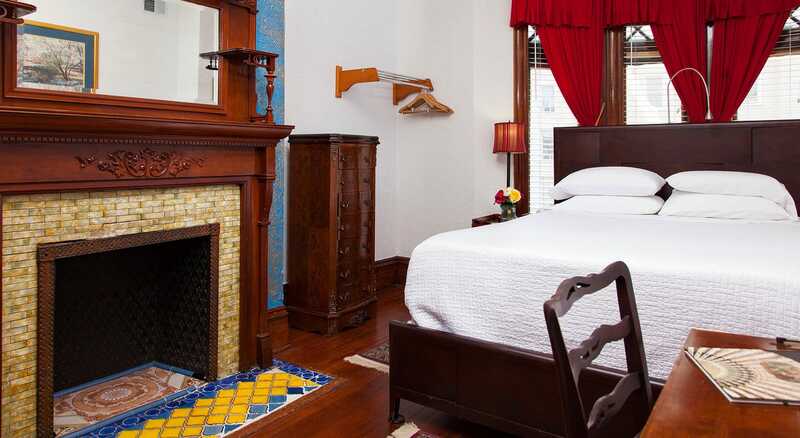 You’ll sleep well and wake refreshed and ready for breakfast in this intimate space of white, red and blue. Room 301 is located two floors up facing the front street with a view of upscale District of Columbia buildings. There is an English style secretary’s desk, complete with a selection of books for your reading pleasure. 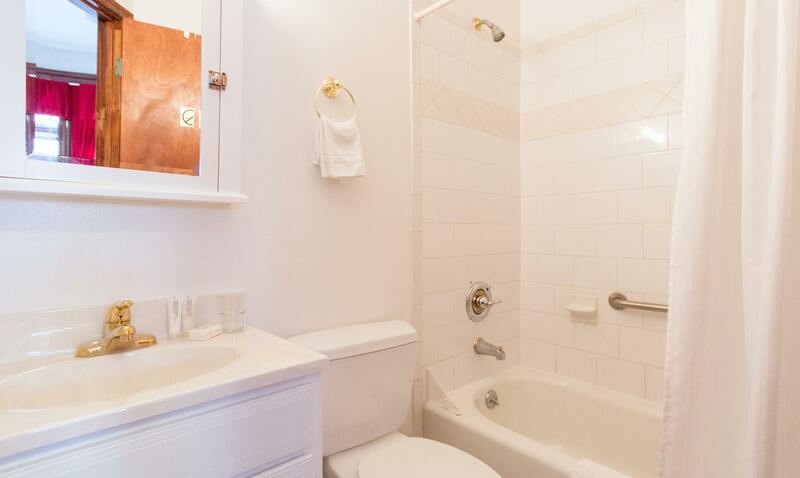 A private all-white shower and tub are provided within the suite with standard amenities. No elevator service is available, but our staff is readily prepared to assist you with any luggage during your stay.